Yet another try of beading techniques. 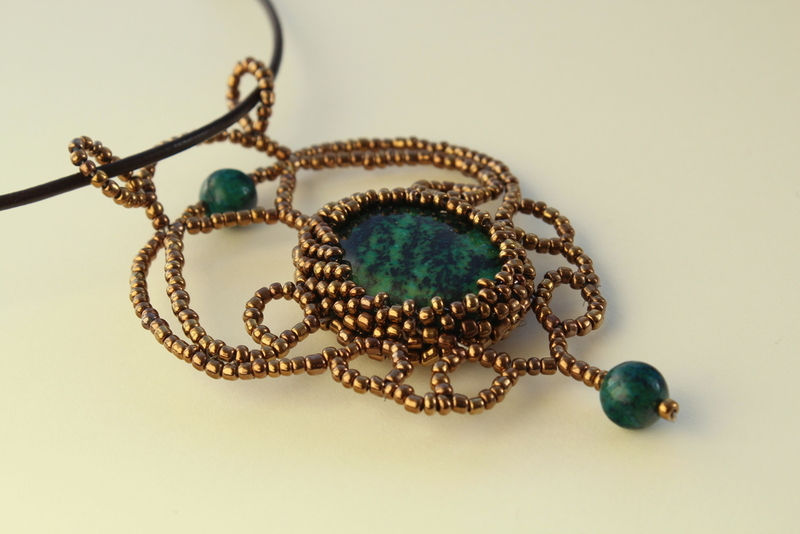 This time I took an oval chrosocolla stone as a centerpiece and combined it with some glass golden-colour beads. The colour and shape of the necklace make me think of some bold tribal jewellery (Waka waka eh eh…). 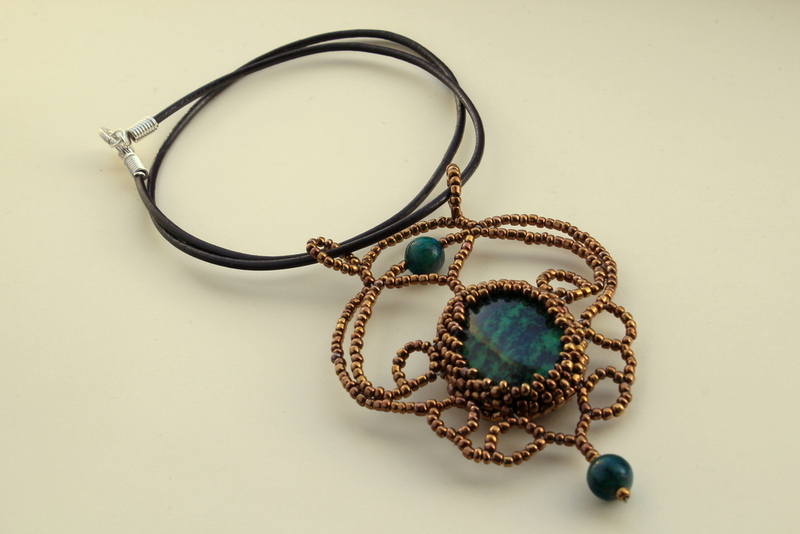 The set comes with a brown leather cord necklace and a lobster clasp.